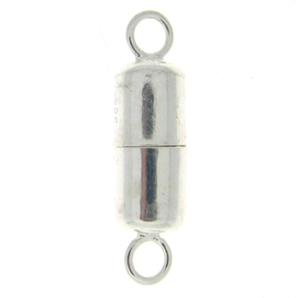 Sterling Silver magnetic pill-shaped clasp - 6mm x 13mm. Very strong!! Sold individually.